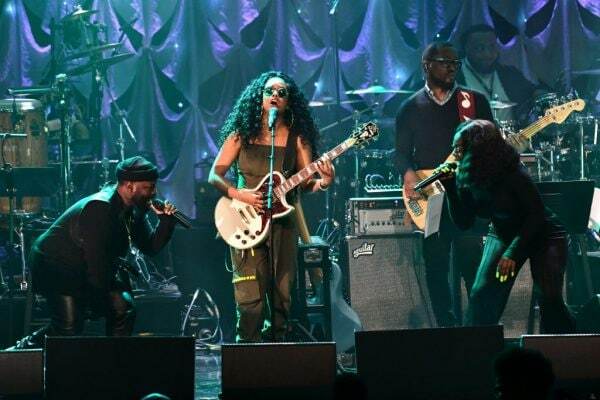 The night included standout performances by H.E.R. and Chloe x Halle. Clive Davis and The Recording Academy hosted their annual pre-GRAMMY gala at the Beverly Hilton on Saturday night and the evening was full of strong performances by some of music‘s hottest stars. The event honored Clarence Avant, the “Godfather of Black Music” who received the prestigious Industry Icon Award. Where were all the stars? While stars like Ciara and her hubby, Russell Wilson could be seen mingling with pals during the sit-down dinner portion, the night was a bit underwhelming in terms of star power. We did spot stars like Pharrell, Barbara Streisand, and Speaker of the House, Nancy Pelosi, and caught a glimpse of Kylie Jenner posing for private photos in the corner of the room, the usual throng of A-listers was noticeably MIA. We were hoping to see folks like Cardi B and last year’s Industry Icon Award recipient, Jay-Z, but no luck there. Travis Scott turned up the heat. 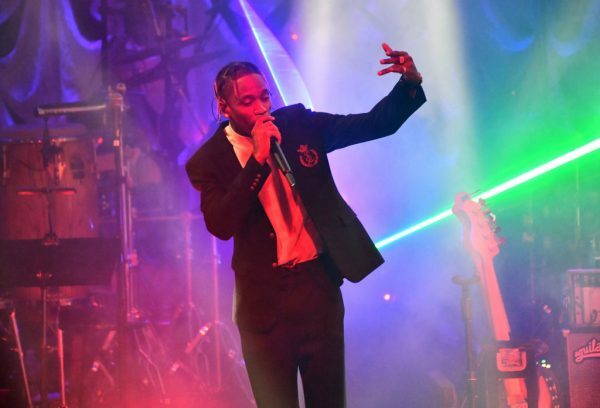 Fresh from his daughter’s epic first birthday bash, Travis Scott was the first performer to take the stage. The rapper was all dressed up for the occasion and opened with his hit “Goosebumps.” He was a bit taken aback by the subdued crowd and reminded the room that he came to party. “I came to rage,” he said. “I could’ve just stayed in the crib and watched Spongebob with Stormi all night but I chose to come and party with y’all tonight, so I just wanna rage.” He proceeded to perform his Drake collab, “Sicko Mode” while his partner, Kylie Jenner looked on. If there was any doubt that H.E.R. deserves all four of her Grammy nominations this year, she proved she does with her effortless rendition of “Let It Rain.” The artist who’s up for Best New Artist, Best Album, Best R&B Performance, and Best R&B album looked like young Lauryn Hill and sounded even better, leaving the room breathless after her incredible turn on the stage. Worthy vocalists paid tribute to the Queen. One of the night’s highlights should have been the tribute to Aretha Franklin, but the run of show put a damper on the spot-on selection of vocalists selected to honor the Queen of Soul. 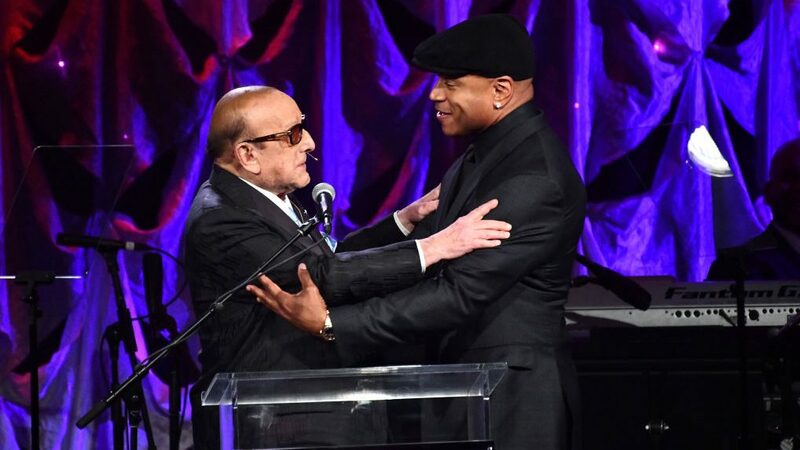 We were glad to see and hear Jazmine Sullivan, who reminded everyone that her voice is not to be forgotten, and Ledisi was a welcome surprise, but Clive Davis’ long-winded speeches in between the sets made it hard to sit through. Chloe x Halle closed out the show. Two of the most talented young stars in the game area Chloe x Halle and the sisters closed the show like the pros they are. 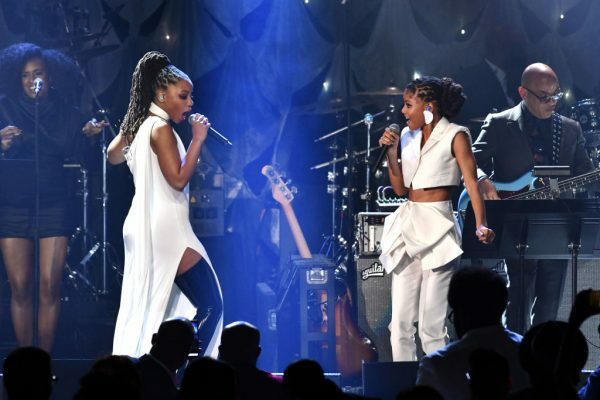 Dressed in all white ensembles, the ladies who moonlight as stars of grown-ish gave the tired crowd something to cheer about at the end of the night.